School-aged children occasionally acquire paint stains on their backpacks from messy craft projects. Acrylic latex paint is common on backpacks, as it is water-based, nontoxic and more kid-friendly than other paint types. Although colorful and versatile, acrylic paint looks dingy on backpacks. Acrylic paint's bond to backpack fabric strengthens over time, making the paint harder to remove. Since acrylic paint dries rapidly, a prompt response is essential to restoring backpacks. Quickly remove acrylic paint from backpacks using basic solutions. 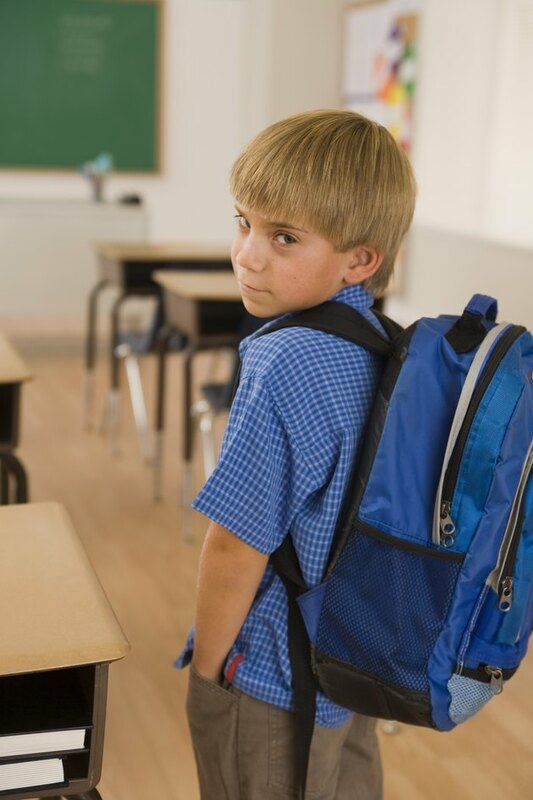 Clean backpacks are important to many small kids. Scrape any fresh acrylic paint off the backpack using a plastic spoon. Do not spread the paint stain. Access the underside of the paint-stained fabric. Rinse the back of the acrylic paint stain with warm water to inhibit the paint from spreading. 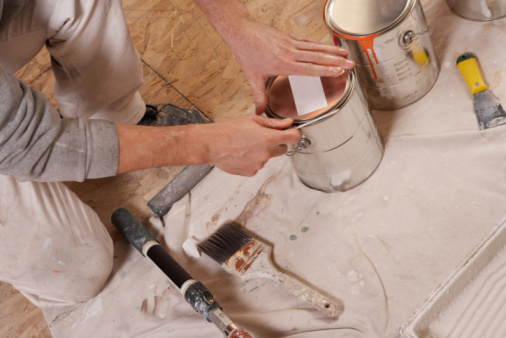 Drench the remaining paint stain with laundry pretreatment spray. Let the spray penetrate the backpack for one minute. Blot the remaining stain with clean, white paper towels, replacing them frequently. Lift as much paint off the backpack's fabric as possible. Saturate a thick, white cloth with warm water. Blot the stain to flush out the laundry pretreatment spray. Inspect the backpack for lingering paint. If any paint residue persists, blot the paint with liquid laundry detergent using another cloth. Continue blotting the backpack's fabric until no paint remains. Rinse the backpack's soapy fabric under flowing, warm water. Blot the backpack's wet fabric with a thick, white towel until dry.